During this election season, it can be easy to forget the real people behind the issues. Our occasional commentator Jay Solomon rips a story from the headlines in this edition of With All Due Respect on Wednesday's First Coast Connect. The life of Alfredo Quiñones-Hinojosa — a young, illegal immigrant — hung by a rope. Working a welding job in Fresno, California, he fell 18 feet into an empty petroleum tank. Co-workers tossed him a rope. But struggling to get back to the top, fumes overcame him. He fell back into the tank, later saying his life flashed before his eyes. Quiñones-Hinojosa was the youngest of six kids growing up near Mexicali, Mexico. At age 5, his first job was selling food to truck drivers. Despite being poor, Quiñones-Hinojosa was always a go-getter, excelling at school and earning a teaching certificate by age 18. He simply wanted to help his family. Choosing to risk his life over staying in Mexico, Quiñones-Hinojosa, at age 19 — without any money or knowledge of English — headed for extended family in Fresno, California. He was immediately caught jumping the border fence and was promptly sent back. He tried again later that same day and succeeded. Then after two years living in squalid conditions while picking cotton, painting and welding, Quiñones-Hinojosa told a cousin he wanted to go to school, learn English and have a better life. But the cousin said "this is your life, to work the fields." Undeterred, Quiñones-Hinojosa eventually attended school and learned English. He tutored Spanish-speaking students in math and science while enhancing his English skills on the debate team. He was a welder to pay his way through school. Quiñones-Hinojosa stayed with the welding job for three more years before attending the University of California at Berkley on scholarship. His slow mastery of English threatened his grades but his aptitude for math and science prevailed. Mentors turn Quiñones-Hinojosa’s interest toward psychology and neurobiology. After completing his thesis on neuroscience, he is accepted by Harvard Medical School. While earning many research fellowships and academic honors, he becomes a U.S. citizen. 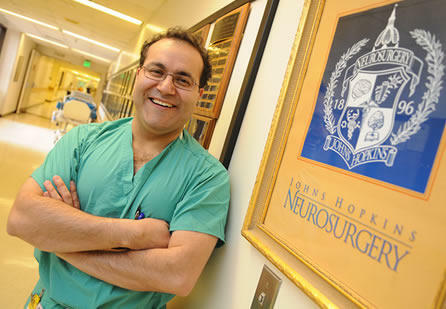 Fast forward and Quiñones-Hinojosa became Dr. Alfredo Quiñones-Hinojosa, a neurosurgeon. He is now widely known as "Doctor Q." His other title includes director of the Brain Tumor Surgery program at Johns Hopkins Medical Center in Baltimore. When he’s not operating or teaching, he’s in the lab looking for a way to use stem cells to halt the spread of cancerous cells in the brain. Oh, and by the way, Dr. Q is leaving Johns Hopkins this fall and heading, here, to the Mayo Clinic, as chairman of neurologic surgery – the focus, eradicating brain tumors. Could there be a story from Hollywood? Maybe. Disney and Brad Pitt are developing a biopic called Dr. Q. Just think: If we had built border walls years ago, we could have kept out Dr. Q. But perhaps it’s not too late to block others who have aspirations that won’t wait. We can’t have open borders but — hello Congress — we must have intelligent immigration policy. Veteran broadcaster Jay Solomon's "With All Due Respect" commentaries can be heard occasionally on First Coast Connect. Brain surgery is a dicey business. Even the most experienced surgeons can damage healthy tissue while trying to root out tumors deep inside the brain. Researchers from the University of Maryland are working on a solution, and it sounds like something out of a sci-fi movie. 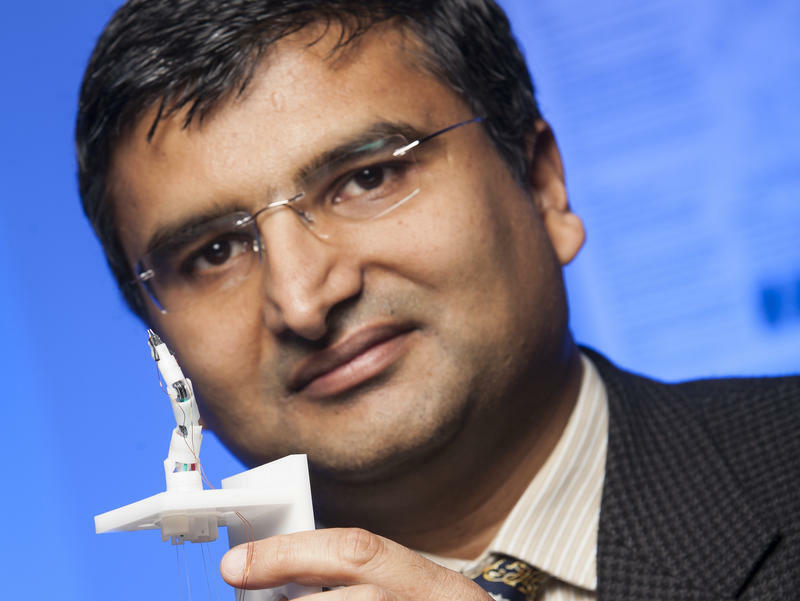 They're developing a tiny, maggot-like robot that can crawl into brains and zap tumors from within.